Over the years, I have learned that people reading this blog come from a wide range of belief systems, including atheist, agnostic, and those involved to large or small degree in various spiritual and religious practices. Although this blog post to which I am linking today is written by a Christian and part of the post is from a Christian perspective, I think anyone can learn from what Dr. William Struthers calls the Seven Dangerous Neuro-Temptations (The Table, blog of Biola University). Click to see how he defines neuro-essentialism, neuro-manipulation, neuro-divination, neuro-absolution, neuro-narcissism, neuro-normalcy, and neuro-privilege. Do you like brain science? Sure, we all do. It looks cool, it sounds exciting, it tickles our intellect, and it promises to solve all of life’s questions. Why do we do the things we do? While brain transplants are still a part of science fiction (at least for now), there have been a number of startling developments in recent years that force us to stop and consider how a three pound mass of tissue located in our cranium trafficking in chemicals, hormones, and electrical impulses can be tweaked to produce any number of changes in personality, emotion, behavior, and thought. We live in an era when transcranial magnets are used to treat depression, deep brain stimulation is used to treat Parkinson's disease, portions of the brain are being removed in cases of severe obsessive-compulsive disorder, and new drugs are coming down the pipeline to treat attention deficit disorder. In this heady new world of brain science run riot, is probably a good idea to stop and take stock of some of the potential dangers that could be looming on the not too distant horizon. As a brain scientist, I feel compelled to give you a ‘heads up’. To keep things straightforward, let’s call these issues the Seven Dangerous Neuro-Temptations. Why seven temptations? Well, why not? Seven is a good number, and they’ll be as easy to remember as the Seven Deadly Sins: greed, sloth, wrath, lust, envy, pride, and gluttony. With every temptation, however, there is a response—an opportunity to rely on God to reveal His goodness and His provision or to exercise our brokenness and our sinful nature. If we yield to the temptation, its consequences are deadly. Just to make these temptations memorable, let’s be sure to affix the Neuro- prefix to them all (these days, that seems to get everyone’s attention and brings an aura of legitimacy). 1. Neuro-Essentialism. The first Dangerous Temptation, Neuro-Essentialism, is the belief that what makes you human is having just the right nervous system that functions in just the right way. Being a human being is essentially defined by your neurological anatomy and functionality. Unfortunately, this takes the nervous system out of the body. But any good biologist will tell you that the brain is part of an integrated system (and does some pretty important integration work in the process). The body should be an important component of what it means to be human. But the Neuro-Essentialist will disregard the body, saying, at the end of the day, it is all about your brain. 2. Neuro-Manipulation. It is obvious that our knowledge of how the brain works can be used to influence people to do what we want them to. We use drugs to help people with pathology cope and function. We use surgical techniques to remove tumors to alleviate life-threatening disease in the brain. But drugs and other neurological techniques now begin to open up new opportunities for us to manipulate and coerce. Drawing the line between therapeutic intervention and coercion will become increasingly difficult. This sort of behavioral control will most likely surface in legal contexts (e.g., prisoners submitting to neurological treatment for reduced sentences), but will very likely rear its head in other contexts as well (e.g., parenting, education systems, marketing). When the use of these technologies is used for something other than medical intervention, where should we draw the line? Stephanie West Allen, JD, practiced law in California for several years, held offices in local bar associations, and wrote chapters for California Continuing Education of the Bar. 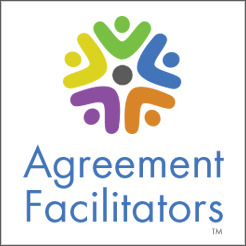 While in CA, Stephanie completed several five-day mediation training programs with the Center for Mediation in Law, as well as a two-year intensive with Center co-founder Gary Friedman. She has been a mediator for over two and one-half decades. She is the author of Triversity Fantasy — Seven Keys To Unlock Prejudice, Creating Your Own Funeral or Memorial Service: A Workbook and many articles on workplace and professional issues for such publications as Lawyer Hiring and Training Report, Colorado Nurse, The Complete Lawyer, National Law Journal, Of Counsel, Law Practice and Denver Business Journal. "Mediate.com is a primary channel for learning what ideas are current and emerging within mediation, negotiation and ADR. It is an indispensable reference point for ADR specialists."